Months ago I saw this tiny two party and thought it was the cutest idea. I started thinking of ideas for Ella's party and embraced the tiny theme in every way I could. It all started with the tiny invites. 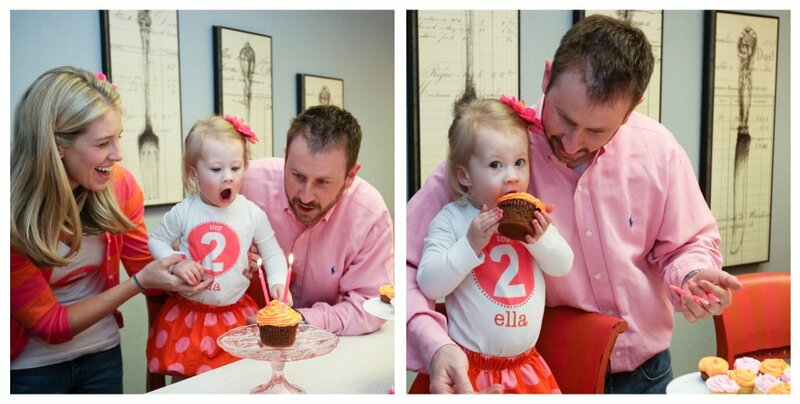 Ella's tiny two party was last weekend and it was so much fun, she had a blast! I made a tiny town out of refrigerator boxes that I had been collecting from Lowes over the last month. The town had all of Ella's familiar places in it. There was a tiny house, a tiny McDonalds (ella's favorite place), a tiny Starbucks (bob's favorite place), a tiny church and a tiny hospital, which is where Bob goes to school as a med student. 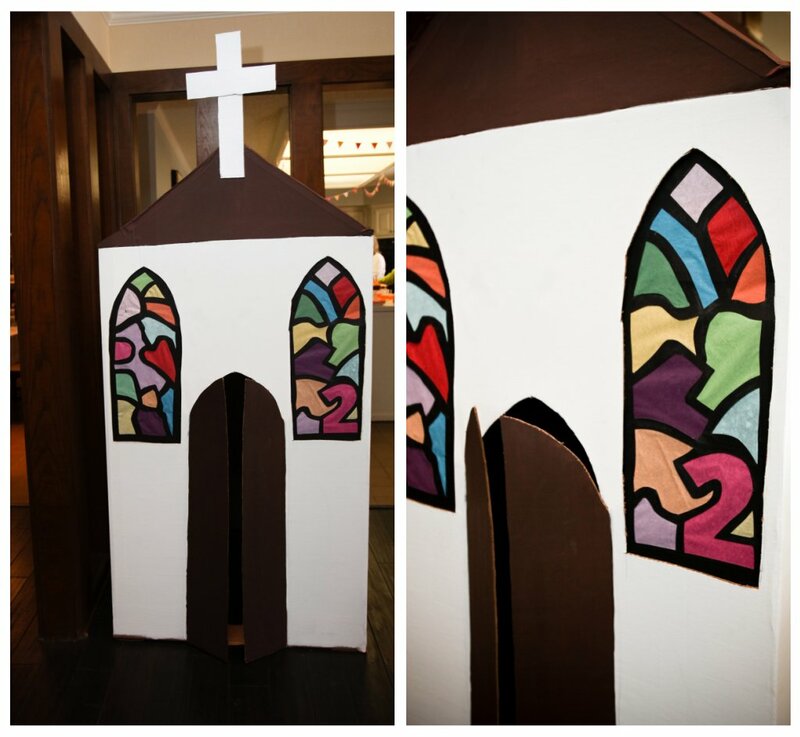 Making the boxes was so much fun and all the kids loved playing in them. There was supposed to be a bounce house in the back yard but we got a random snow storm the night before the party so it got canceled. I had the movie "Honey I Shrunk the Kids" playing on tv but nobody even watched it cause tiny town was such a hit! My mom, sister, mother in law, and cousins were up with me till 1:30 the night before the party making lots of tiny treats. I couldn't have done it without them! We made tiny cupcakes, tiny number 2 cookies, tiny caramel apples, tiny (kid friendly) jello shots, and tiny cokes and water bottles. The water bottle labels were made by these lovely ladies. I decided on having water bottle labels last minute and didn't have time to make them myself. They put one together for me so fast and I was very happy with it. I just emailed them the colors and wording I wanted and they sent me a PDF file and I printed them myself. I laminated them with masking tape before taping them on the bottles. Everything turned out so cute! The tiny caramel apples were the biggest hit for sure and they were addicting. I saw how to make them here. I made tiny banners with tissue paper and yarn. 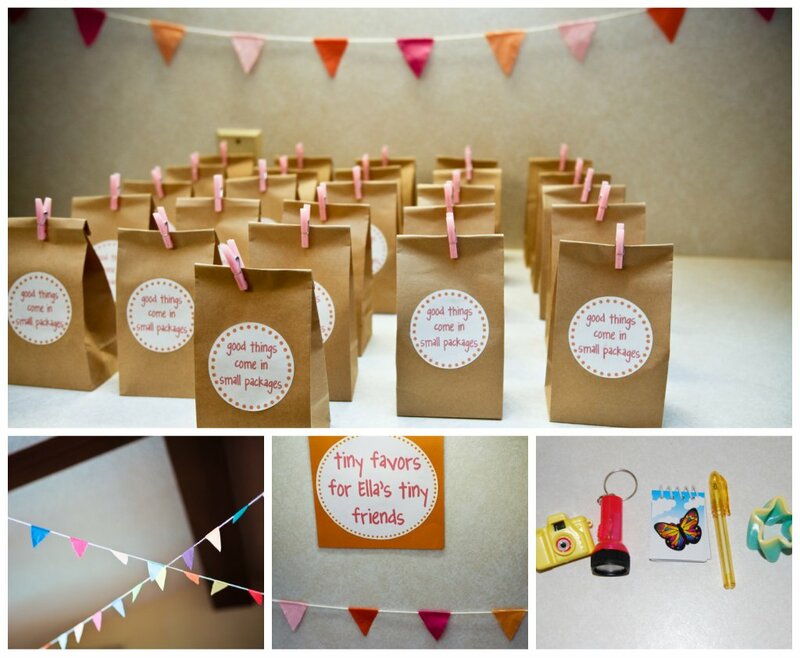 The party favors were in tiny brown paper bags. I made the label on the bag using microsoft word. It said "good things come in small packages." I ordered all the tiny favor toys from oriental trading company. 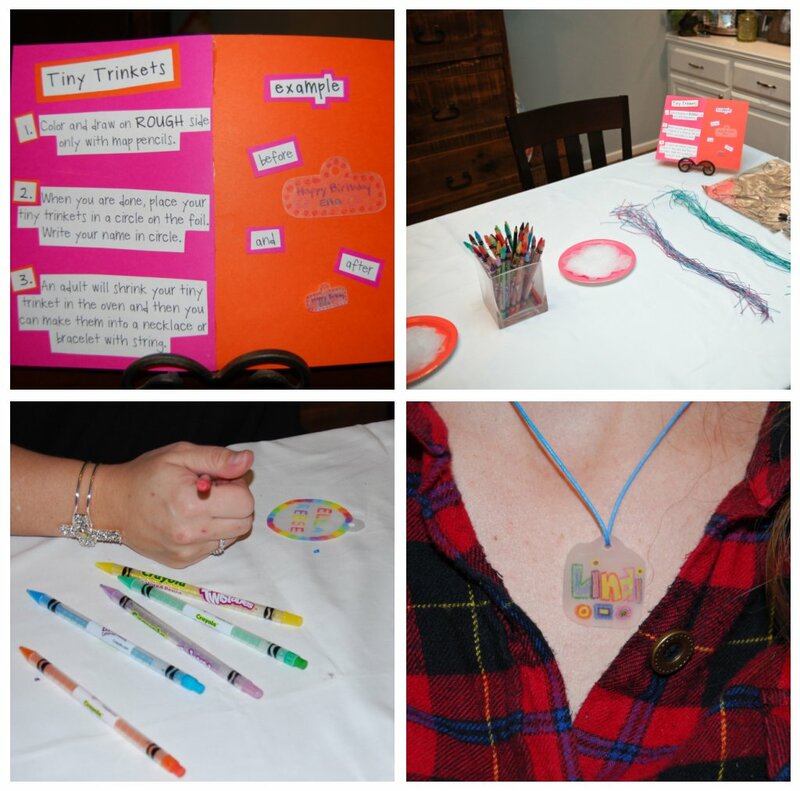 The craft for the party was shrinky dinks. 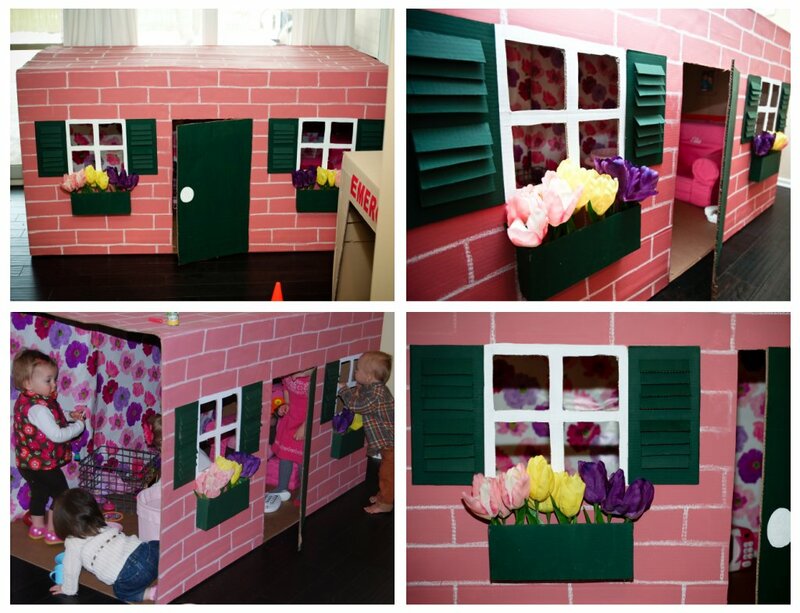 I loved this craft when I was a kid and I was so excited when I found this website that still made them. I cut the shrinky dink paper into charm shapes with a hole punched through it so that everyone could make them into a necklace. This was a hit with not only the kids but adults too. Of course mom and the birthday girl had to match so I screen printed tiny two shirts for us to wear. Most of these fabulous photos were taken by my wonderful friend Brittany. She is an amazing photographer and I am so thankful that she took pictures for me. 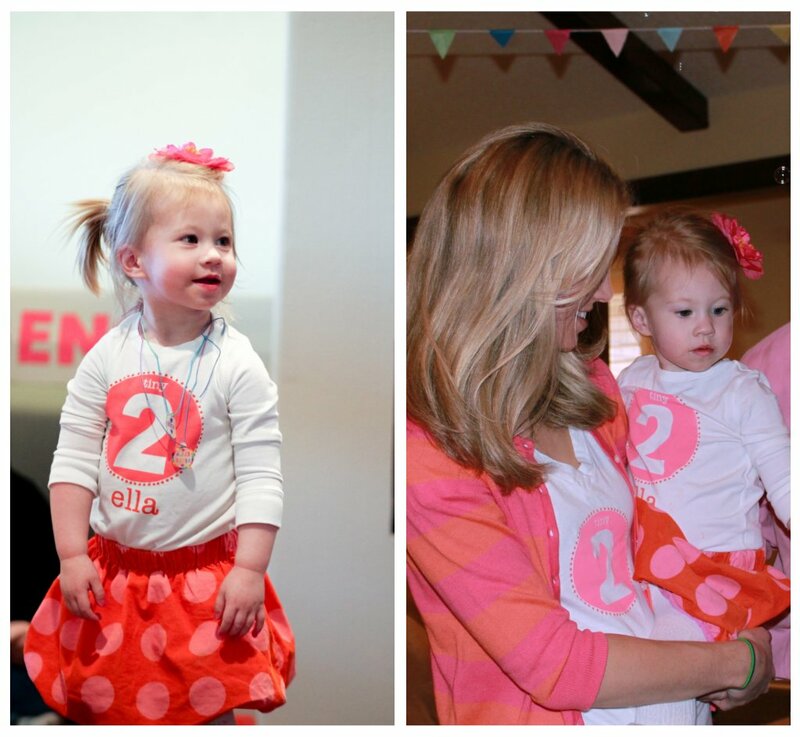 Thanks to everyone that came and helped out with making Ella's tiny two so much fun! For some behind the scenes on tiny town go here. tiny town - omg!!!! that is so amazing! I have checked about 100 times since Saturday in anticipation of the pics!! The party was amazing!!!!!!! You will get so much response from people on this one.....where in the world do you get all of your energy? Any to spare??!! Loved it all Allison! Oh it looks amazing! I can't believe you made all these number two cookies, everything turned out fantastic! i'm still so amazed :) you party planning machine, you! you guys are so cute and fun! 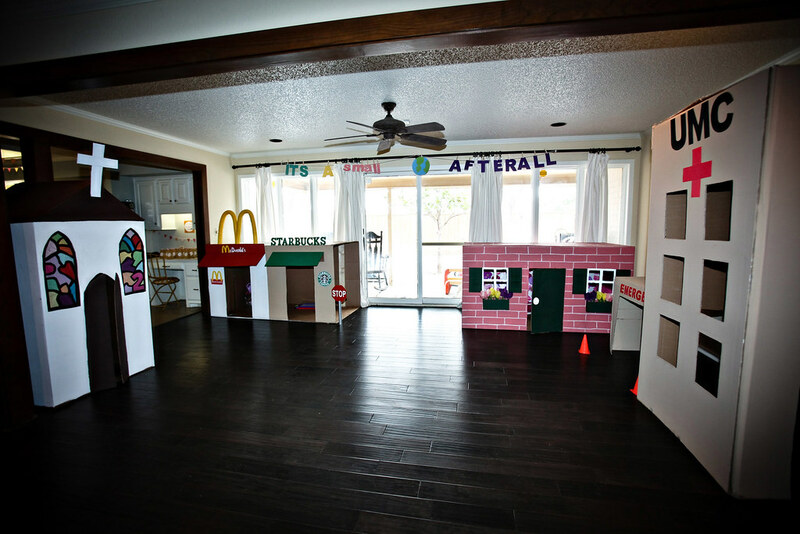 when I have kids I want to hire you for their parties. I should probably book you now! 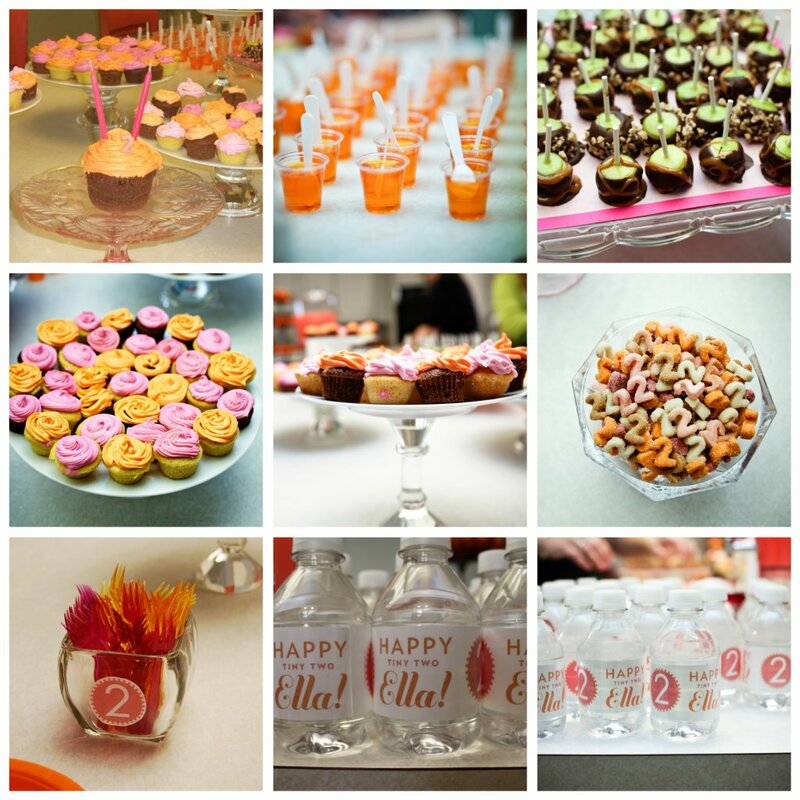 I have also been eagerly anticipating the party pics and checking the blog hourly :) I LOVE IT! Blew me away, Allison! I still have the precious tiny invite on my fridge bc its too cute to take down. What a super cute party! I have the Tiny Party kit from Martha Stewart and I have yet to use it, you are inspiring me for a just-because party. I would love to share your party with my readers. Love love love the tiny town! Who doesn't love to play in refrigerator boxes?! Love this party! I will be linking to it! Um, you should submit this to Hostess with the Mostess...this is amazing!!! I love everything about it!!! Wow! So precious. Good job, Mama! What a fabulous party idea! It turned out great! Your TINY party is about as HUGELY GREAT as they come!!!!!!! Your city is SPECTACULAR!! Love it. You did such a great job! Isn't creating tiny things so fun!! I think the caramel apples and tiny pennant bunting are my favorite!